Peanut butter has been unfairly maligned as a dieter’s worst enemy. In fact peanut butter contains a host of nutritional benefits. A typical 2 tablespoon serving contains 3.3 grams of saturated fat and 12.3 grams of unsaturated fat. And if this sounds like a lot, remember this puts it in the same ratio of goods fats to bad fats as olive oil. Peanut butter also contains fiber, vitamins and minerals and other nutrients . 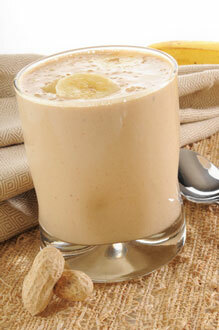 There’s no better way to get those nutrients than in a peanut butter banana smoothie. Plus by adding other fruits, it is easy to boost the nutritional value. When shopping for peanut butter look for the natural variety with little to no added fat or sugar. Some peanut butters have added hydrogenated oils which increases the trans fat content. It must contain a minimum of 90% peanuts with no artificial sweeteners, colors or preservatives. Some brands add natural sweeteners and salt as well as stabilizers. 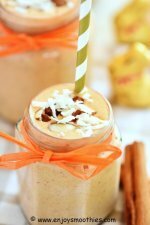 Start with this basic banana peanut butter smoothie recipe as the starting point to build other amazingly delicious smoothies. 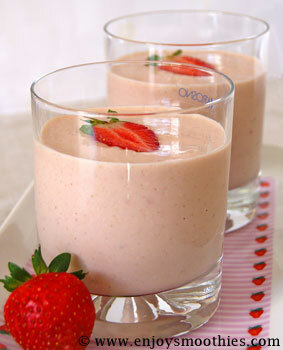 This is the healthy variation of the traditional peanut butter and jelly smoothie. Because strawberry jam or jelly is full of sugar, I decided to use real fruit instead. That way you still get that fruity taste without the calories. Peel and chop the banana. Hull and slice the strawberries. 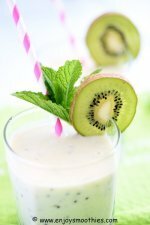 Place the fruit into a blender, along with the peanut butter, yogurt and nut milk. Blend until smooth and creamy. Pour into 2 glasses. 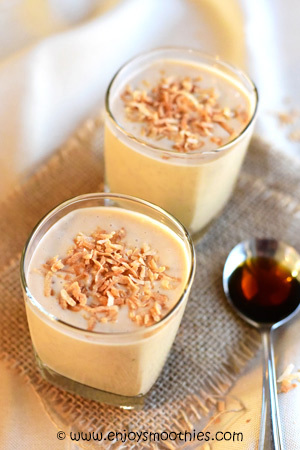 Blitz together the frozen bananas, coconut milk, coconut yogurt, peanut butter and maple syrup until your smoothie is creamy and frothy. 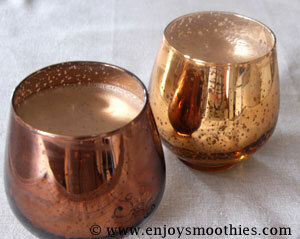 Pour into 2 serving glasses then sprinkle over toasted coconut. Enjoy. 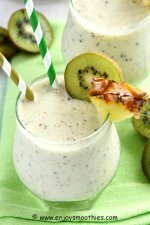 Using frozen bananas will give your smoothie a creamy texture.